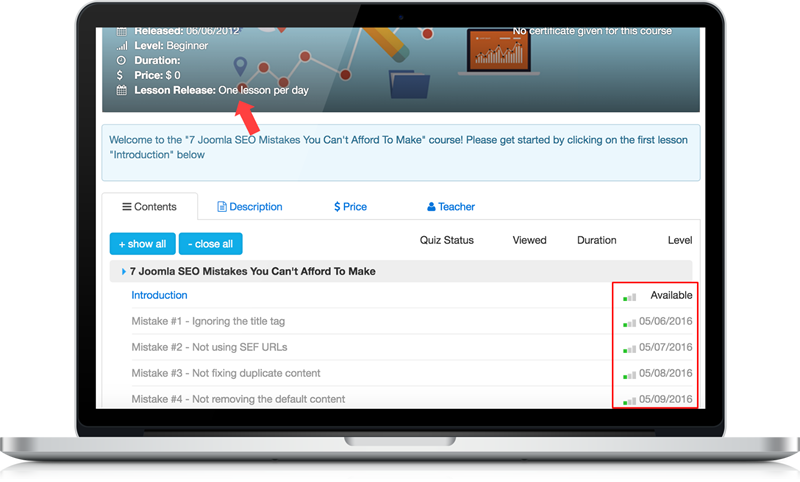 This feature allows you to release their lessons gradually — once a day or once a week or once a month. Not only can you stop students jumping around on the course, you can now use your course as a marketing machine. Send students an email each time a lesson is ready and you’ll bring them back to your site automatically. They’ll stay on your course and renew their subscription to gain access to the remaining lessons. You’ll get more money in your pocket. 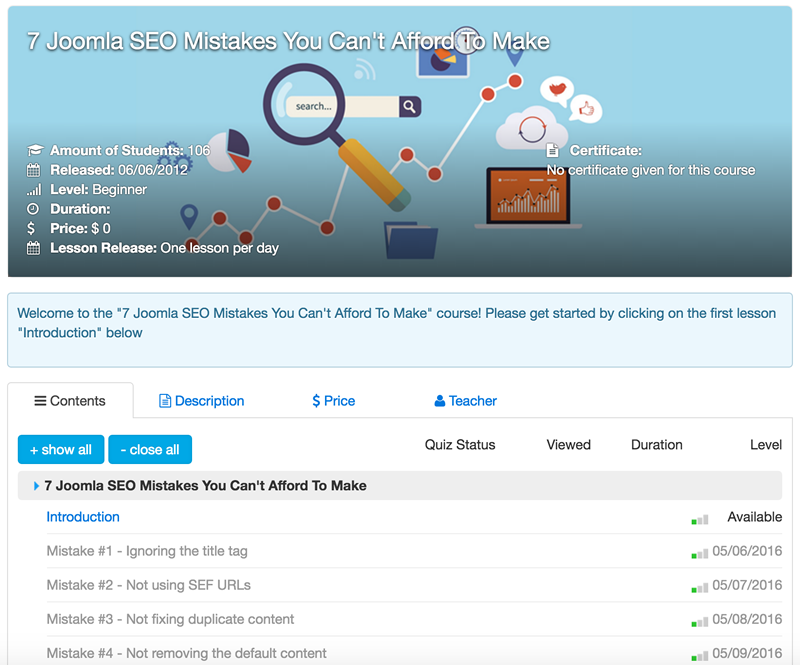 Non-Sequential – All lessons are available as soon as the student signs up. Sequential – Lessons are available one at a time, every day/week/month. Show only the available lessons. Once you make a course sequential, it's very important that you add an automatic email reminder that will send your student an email each time a lesson becomes available for them. 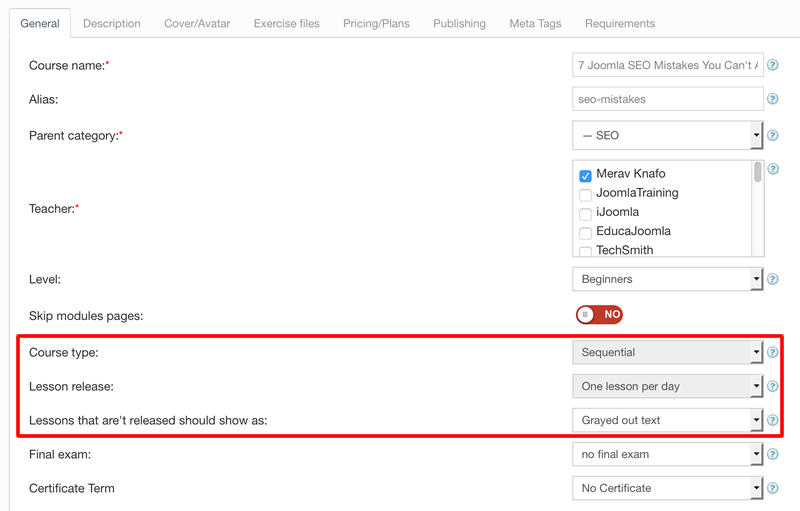 On pricing/plans tab check the box next to the email "New Lesson"